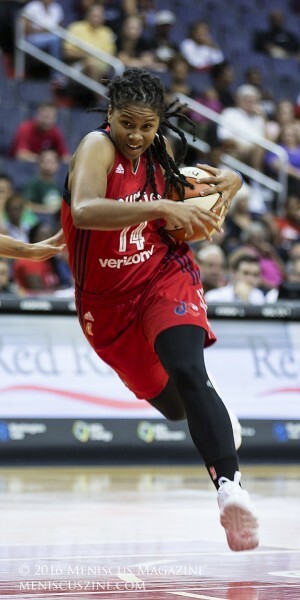 September 9, 2016. 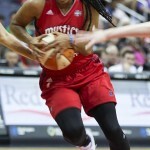 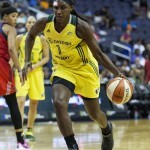 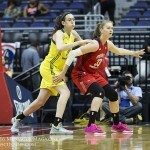 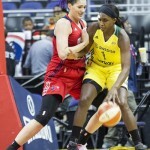 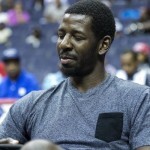 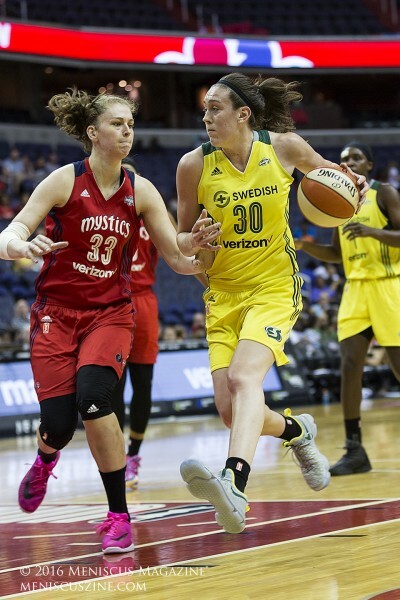 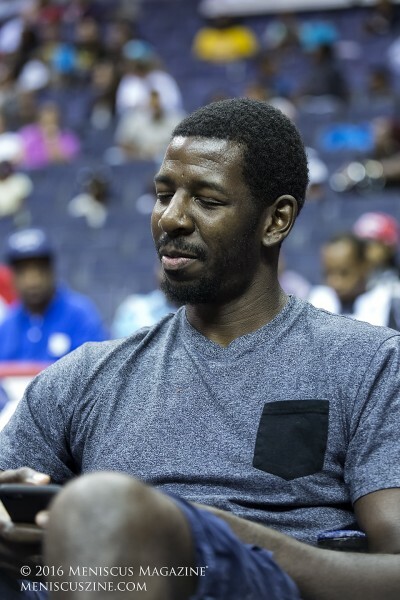 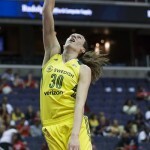 Verizon Center, Washington, D.C. – Behind by just two points after a competitive first half, the Washington Mystics (12-18) initially came out roaring on both ends of the floor. 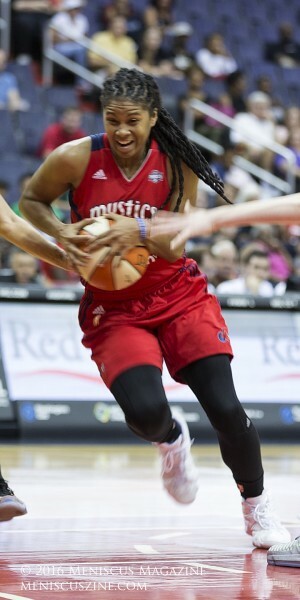 With just 3:08 to go in the third quarter, Tierra Ruffin-Pratt of the Mystics made a three-point shot to put Washington in the lead by 11 points, 58-49. 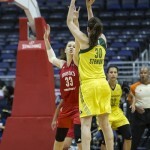 Then, like all great players are wont to do, Breanna Stewart of the Storm (14-17) almost single-handedly took over the game. 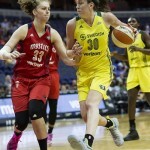 In a span of just two minutes and 23 seconds, she made 10 points, two rebounds and one blocked shot, thereby giving the lead back to the Storm, 63-61. 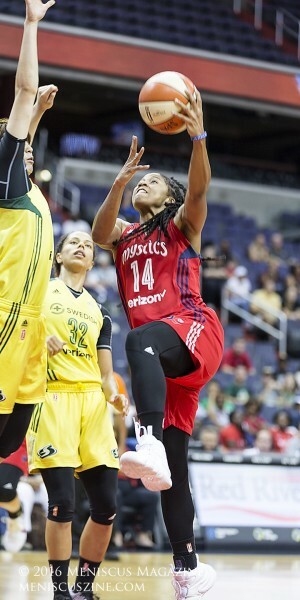 The Mystics never did regain the lead for the rest of the game. 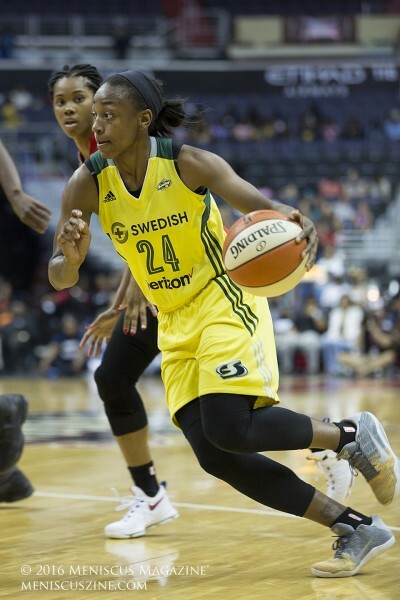 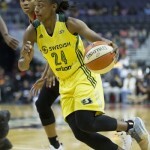 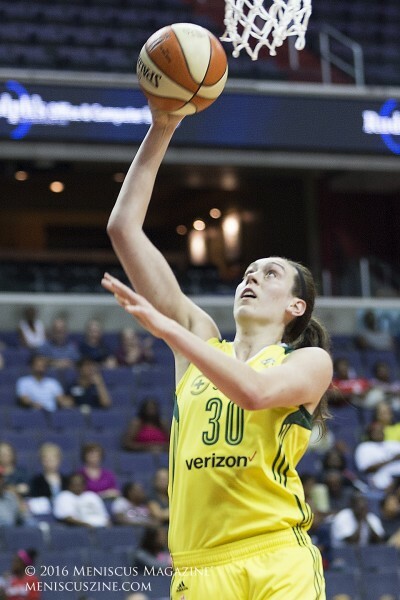 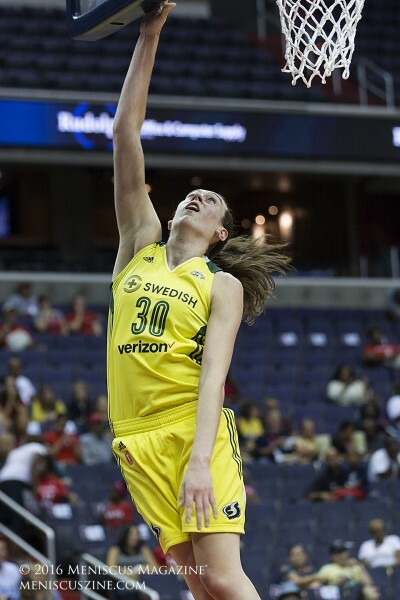 The first overall WNBA draft picks of Seattle’s Sue Bird (2002), Jewell Loyd (2015) and Stewart (2016) demonstrated that they are beginning to gel as a team and to exploit each others’ talents. 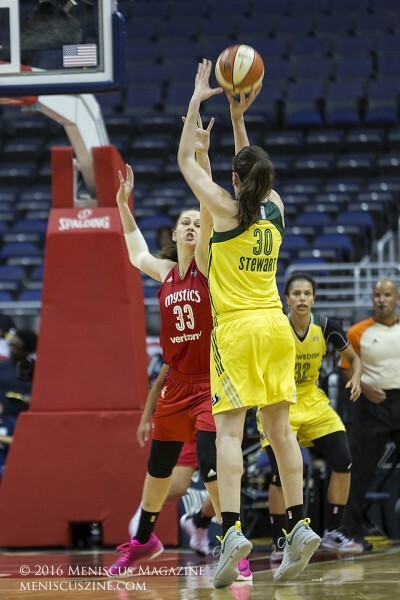 Bird had 17 points and nine assists, Loyd had 11 points, and Stewart finished with 17 points and 10 rebounds. 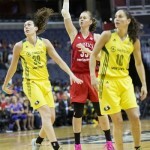 Storm forward Ramu Tokashiki came in from the bench and contributed 13 points in 13 minutes, 11 of the points in the second half. 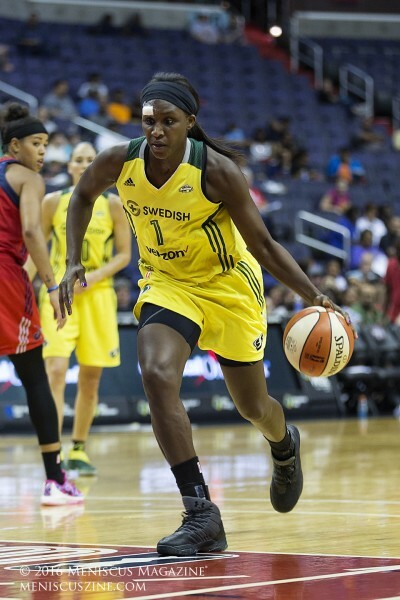 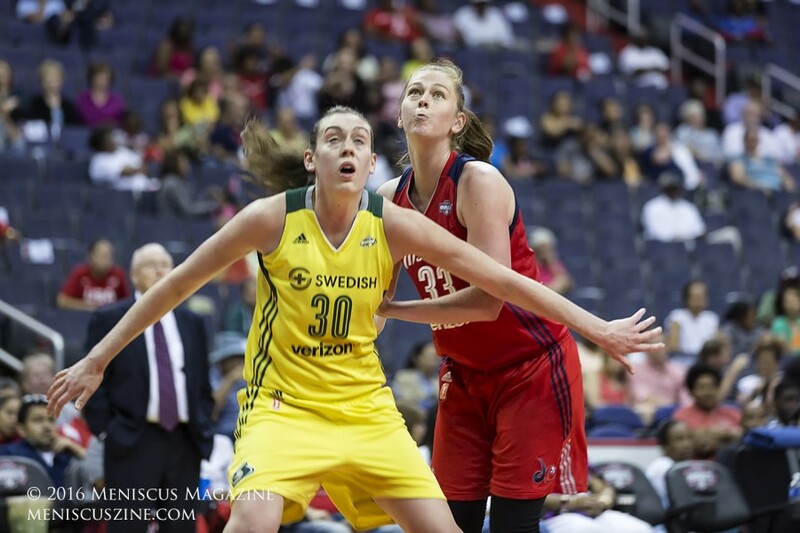 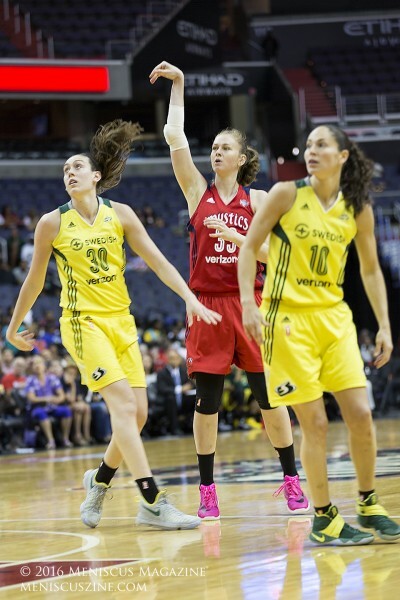 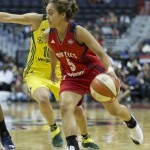 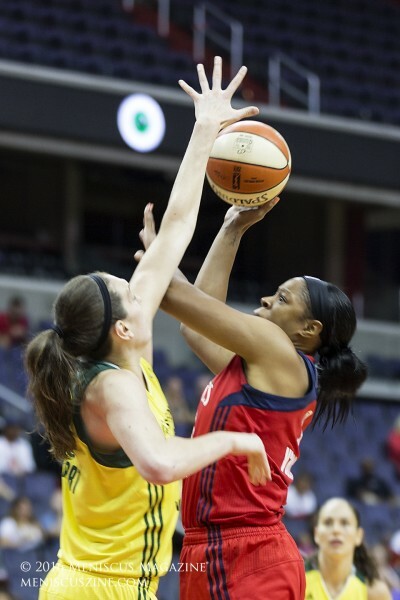 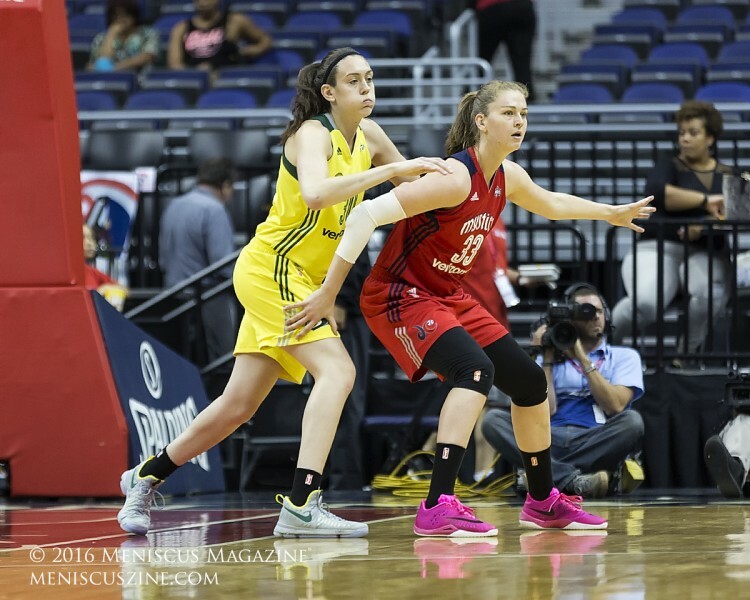 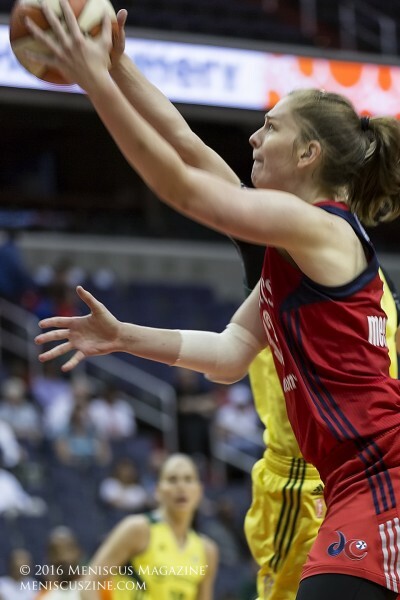 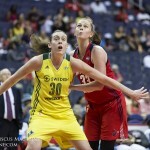 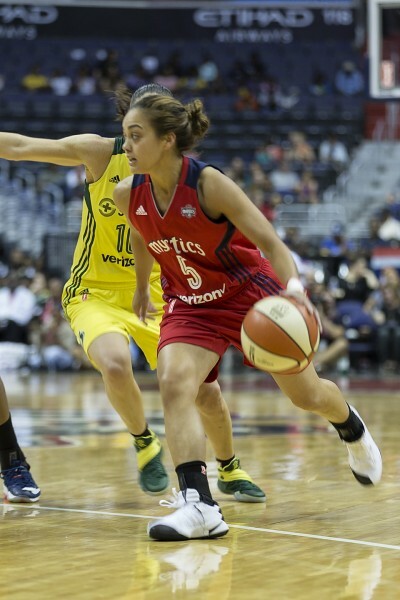 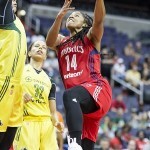 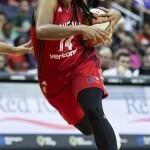 The Mystics played well in both ends of the floor, but had just 26 rebounds to Storm’s 36. 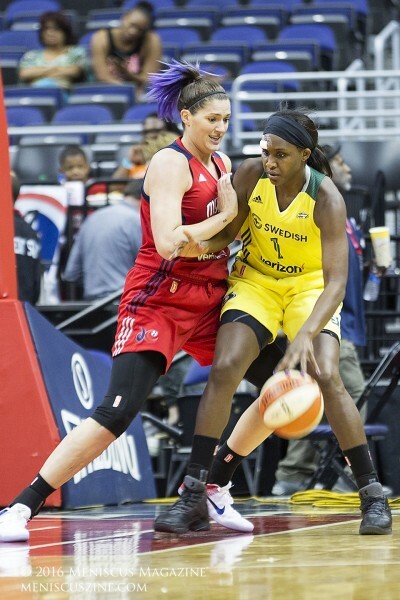 The starters all scored with double figures with at least two or more assists, but a 15-point fourth quarter highlighted their lack of a go-to player to generate points on the board.